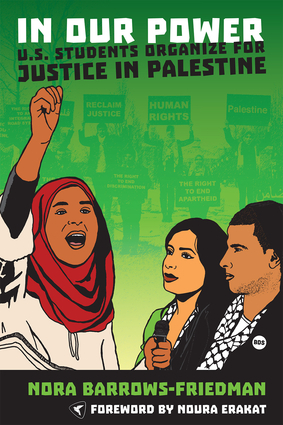 In the years following Israel’s 2008–9 “Operation Cast Lead” attack on the Palestinians of Gaza, a new kind of student movement emerged on U.S. campuses, in support of the idea that Palestinians should gain the full exercise of their human and political rights within their historic homeland. In 2013 and early 2014, journalist Nora Barrows-Friedman crisscrossed the United States interviewing the young activists who form the core of this new student movement, and their voices ring out strongly from every page of this book. In Our Power reveals the rich political legacy these students are building on campuses all around the country. Nora Barrows-Friedman is a journalist, editor, radio broadcaster, musician, and mother. Since 2012 she has served as associate editor and audio production director for The Electronic Intifada, an independent publication focused on Palestinian issues. Previously, she was the senior producer and co-host of the "Flashpoints" show on Pacifica Radio. A resident of Oakland, CA, Nora is the recipient of a Lifetime Achievement Media Freedom Award from the Media Freedom Foundation.